Another effective way of irrigating your row crops is by using pipes with sprinklers. 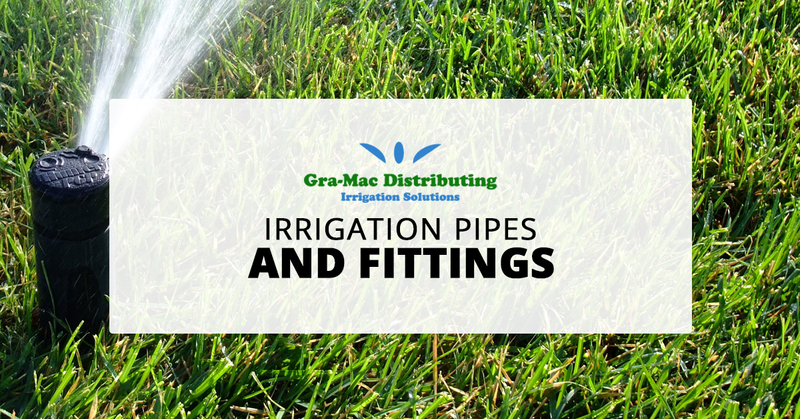 Gra-Mac Irrigation has both fittings and pipes to complete the system you need. We pride ourselves in helping take the hassle out of hand watering while providing quality equipment you can trust. To view our full list of manufacturers, click here. With a wide range of experience, Gra-Mac can also help you determine which irrigation system is the perfect fit for your project. Contact us today and let our team help!